Add a good splash of olive oil to a pan on medium heat and add garlic, chilli, and onion. Cook until browned and put aside. Add a good splash of olive oil to the same pan on medium heat and add the cherry tomatoes and a sprinkle of dry thyme and salt to season. Cook until tomatoes are soft and skin is splitting. 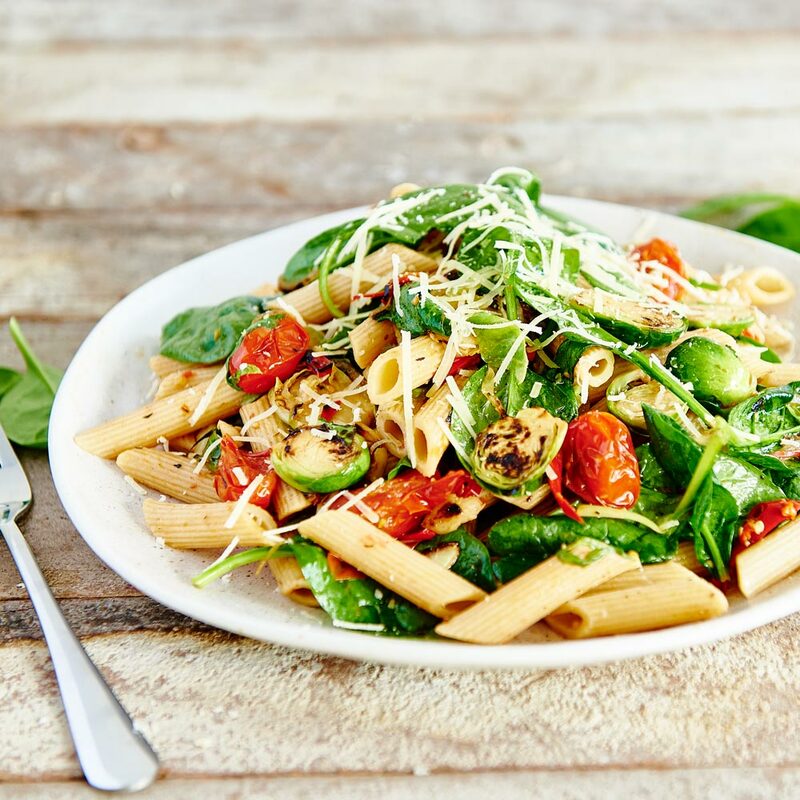 Add all cooked ingredients everything to cooked pasta including fresh baby spinach. Stir until evenly spread. Serve with cracked pepper and parmesan.